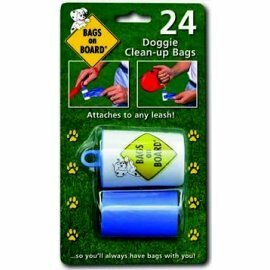 24 Doggie clean-up bags come rolled in a handy dispenser. 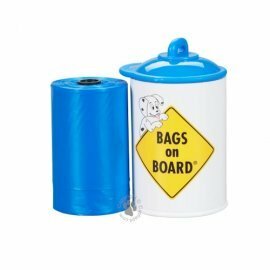 With 'Bags on Board', you'll always have bags with you! Attaches to any leash! 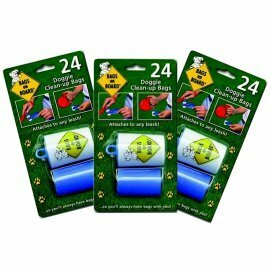 These dispensers can be easily attached to any leash, standard or retractable. Or simply, keep one in your pocket or handbag.